As Countess Geraldine Apponyi, referred to as „The White Rose of Hungary“ before her marriage to the 42-year old King in 1938, she was one of Europe’s great aristocratic beauties. Geraldine Apponyi wrote to accept the invitation, and straight after Christmas 1937 she set off. The visit was a complete success; King Zog proposed marriage on New Year’s Day and, after a decent interval, on January 10 Geraldine accepted. Her guardian, Count Charles Apponyi, gave his consent to the match, and Geraldine was given the rank of Princess of Albania. 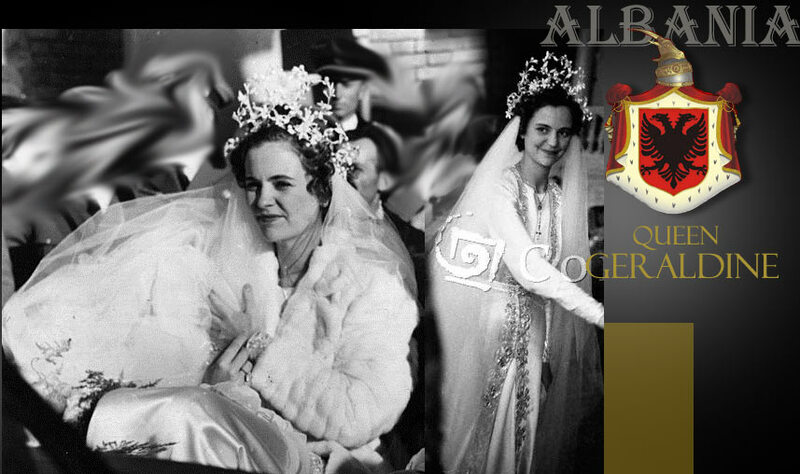 The marriage – a civil ceremony (King Zog was a Muslim, his bride a Roman Catholic) – took place in April of 1938. Geraldine wore a pearl and diamante wedding dress which the King had ordered from Worth, in Paris, and orange blossom in her hair. She had six bridesmaids and the wedding cake, which she cut with her husband’s sabre, was 10 ft wide. The wedding presents included a phaeton and four Lippizzaner horses from Admiral Horthy, the Regent of Hungary, and a scarlet supercharged Mercedes from Adolf Hitler. King Victor Emmanuel of Italy sent a bronze equestrian statue of a dragoon; Mussolini sent some copper vases. 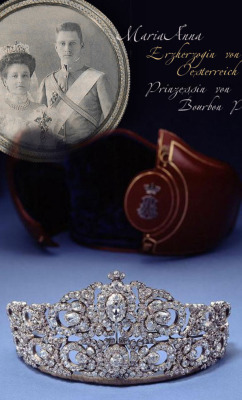 In 1938 Jacques Cartier and the salesman Marcel Marson made a business trip to Albania, where the marriage of King Zog I and his Hungarian Queen, née Geraldine Apponyi, was being celebrated. They were startled by the contrast between the brilliant receptions in the Durazzo palace and the ‚unimaginable poverty in Tirana‘. 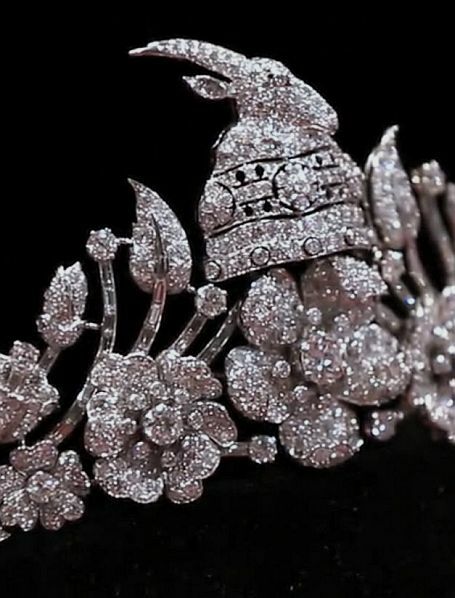 The bride selected a few pieces of jewelry, while the King appraised the ‚Cumberland‘ [diamond] and waved a diamond magnifying glass about, but bought nothing. The trip would have ended in tragedy had Cartier and Marson flown back with five carefully packed jewel chests, for the plane crashed between Tirana and Brindisi. 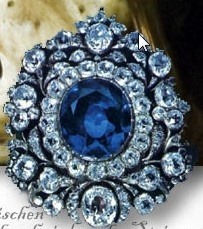 A large part of the jewels were burnt; the remainder turned up later on the black market in Rome and Naples. 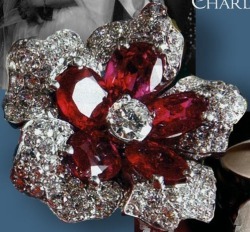 The accident, however, did not deter Cartier’s from returning to Albania in the autumn of the same year for the jubilee celebrations of the tenth year of the King’s reign. 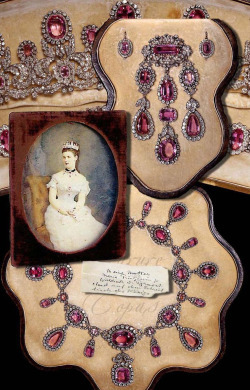 Marson took more than a hundred pieces, including the ‚Cumberland‘ again and a pair of diamond drops of 35.57 carats, on this new expedition. The temperature in Tirana was 38 ºC, it was unthinkable to telephone Paris, and the telegraphic connection was constantly interrupted, with the result that the code devised expressly for this journey was quite useless: ANTELOPE = King Zog; EAGLE = the King wants; BEE = the king is favourably inclined; WEASEL = the King’s sister; PLUM = tiara; BANANA = gold; DATE = diamond ring; FIG = emerald ring. The King, who was urgently awaiting credits from Rome, changed his mind every day and finally made such a risible offer for the important stones that Marson turned his back on Albania with the philosophical comment“ ‚Cartier does not go a-begging. Besonders Tirana war festlich beflaggt, ein Triumpfbogen wurde errichtet und ganz Albanien bereitete sich begeistert für die Hochzeit des Königs mit der Gräfin Geraldine Apponyi, vor. Am 25. April 1938 begannen die Festlichkeiten. Abends fand ein Festbankett, dem ein Empfang im Offizierskasino folgte und grosses Feuerwerk, statt. Der König Zog lud abends die Hochzeitsgäste zu einer großen Soiree in das kgl Schloss ein. Gräfin Apponyi trug ein herrliches azurblaues Abendkleid und als Kopfschmuck ein Diadem aus Brillanten mit der Zeichen der Skanderbegs, siehe oben. Der König in der Uniform eines Oberbefehlshabers der albanischen Armee eröffnete sodann mit seiner Braut den Tanz, der bis in die späte Nacht dauerte. Die Braut des Königs hat bekannt gegeben, dass alle Personen oder Vereinigungen, die beabsichten dem Königspaare Geschenke zu widmen, die hierfür vorgesehnen Beträge einem Fonds zur Errichtung einer Altersversorungsanstalt zu widmen. Trotzdem gab es natürlich Geschenke, wie des ungarischen Reichsverwesers, der einen komletten Lipizzaner Viererzug mit prachtvollem Wagen und Geschirren und ein Porzellanservice von Herend für 24 Personen überreichte. 200 000 Franken in Gold war die Morgengabe des albanischen Volkes, die sie dem wohltätigen Zweck bestimmte, davon wurden auch die 200 Paare ausgestattet, die am gleichen Tag wie das Herrscherpaar den Bund fürs Leben schlossen. Der Hochzeitszug mit 200 Personen, nach der Ziviltrauung am 27. April mit dem König als erster und die Königin in einem prachtvollen silberweissen Brautkleid mit Tüllschleiern und einer acht Meter langen Schleppe, einem Kunstwerk aus Paris, Worth bzw Chanel wurden zitiert. Einem weissen hohen Blütenkranz in Diademform aus Orangenblüten auf dem Kopf. Hinter ihnen schritten die Abordnungen und Vertreter verschiedener Länder und Königshäuser. Sowie Prinzessin Senije, die Gemahlin des Prinzen Mehemed Abid und Min Conte Ciano. Hinter ihnen die Brautjungfern – Schwestern des Königs Prinzessinnen Myzeyen, Ruhije und Maxhide.